Gateway to the Sierra, Truckee is a town which is not only rich in history, but which is undergoing changes to meet the needs of a growing community. 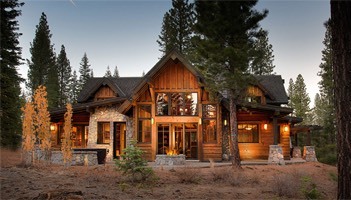 In recent years, Truckee has experienced a population explosion, luring people with its unique lifestyle. Despite its growth spurt, the town retains its ties with the past, particularly in Old Town centered around Commercial Row and the railroad. Here you can find lively shopping, fine galleries, a variety of restaurants and pubs, the historic Truckee hotel and other landmarks that date back to the 1860s. One of the area’s greatest draws is the abundance of activities available for the outdoor enthusiast. In the summer, you can enjoy fishing, camping, rock climbing, and water sports such as water-skiing, sailing and windsurfing. There is also tennis, golf, horseback riding and mountain biking. Hikers have a number of trails from which to choose, including a portion of the Pacific Crest Trail which will take them to mountain meadows filled with wild flowers and breathtaking scenery. Winter brings snow and lots of it. Near Truckee are a number of first class ski resorts including famed Squaw Valley, site of the 1960 Winter Olympic Games. Many facilities also include sledding, cross-country skiing, snowshoeing and snowboarding. The Reno airport is a quick 45 minutes away and beautiful Lake Tahoe lies only 14 miles to the South. Truckee continues to retain a small town atmosphere and always offers old west hospitality. Home values start around $400,000.